Bertram House residents bring their favorite furnishings and accessories to create a space that reflects their own unique personalities. We feature 59 suites, with a mix of companion suites, studios, and one-bedroom apartments. Each suite is unique in size and shape, but all have the feel of home. The suites are beautifully appointed with neutral colors, wall to wall carpeting, window treatments, and a spacious closet. Residents enjoy the comforts of a private bathroom, an emergency alert system, and a kitchenette with a small fridge/freezer and microwave. Telephone service is included in the rent, and cable TV and WI-FI services are available. 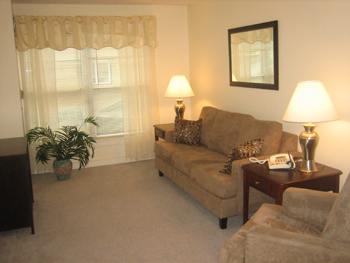 Bertram House residents can enjoy the privacy of their suite or invite a neighbor in for a visit! 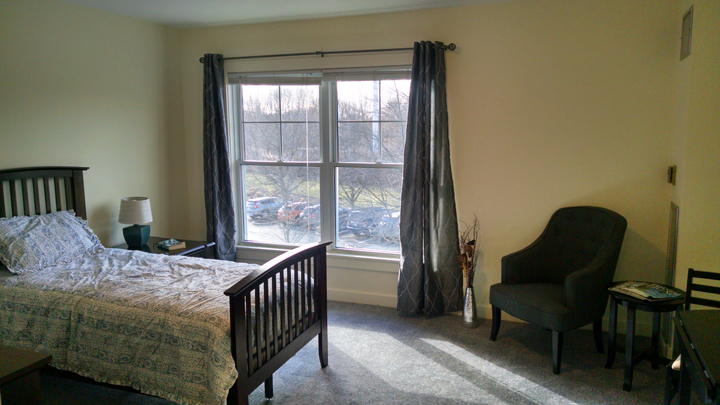 These shared living suites have proven to be a success for both residents and families alike. 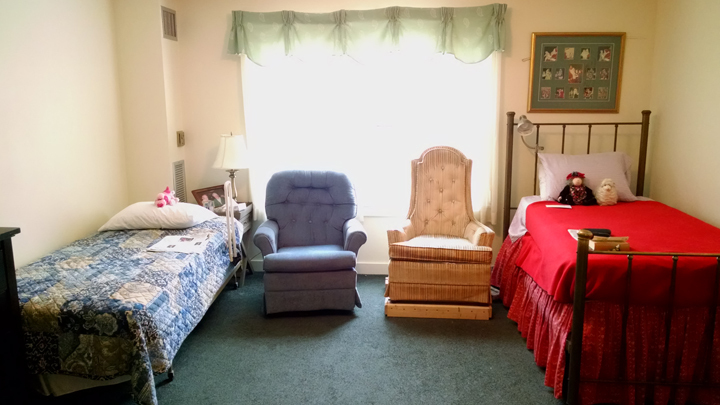 The cozy set-up provides plenty of space for each resident to personalize their own section. The benefits of companionship has proven to promote both social and emotional growth for the residents, and the frequent comings and goings of staff members has ensured greater safety as well. Each studio suite provides a private bedroom, private bathroom, kitchenette, and ample closet space. The studio suite offers a comfortable place for residents to retire for the night, or to get away from the hustle and bustle of activities and relax with a favorite book from our library. A handful of first-floor studios also offer direct deck access from the suite. This is the perfect style of suite for a couple or for a single resident who likes to have a bit more space to stretch out or entertain. These apartments include a living room, separate bedroom, private bathroom, and kitchenette, as well as one or two closets. A couple of these suites have deck or patio access as well. The community foyer and living room is where you will find residents engaged in casual conversation or quietly reading the local newspapers. With elegant furnishings and subtle lighting, it's easy for folks to congregate here and just relax. 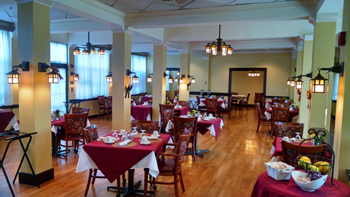 Often compared to a country inn, our dining room serves as the center for social interaction. With elegant table settings of fine silverware and china, we strive to make mealtime an exceptionally pleasant dining experience. Each mealtime brings opportunities for residents to exchange stories with their friends, or linger over dessert and coffee or a glass of wine at the end of a delicious meal. 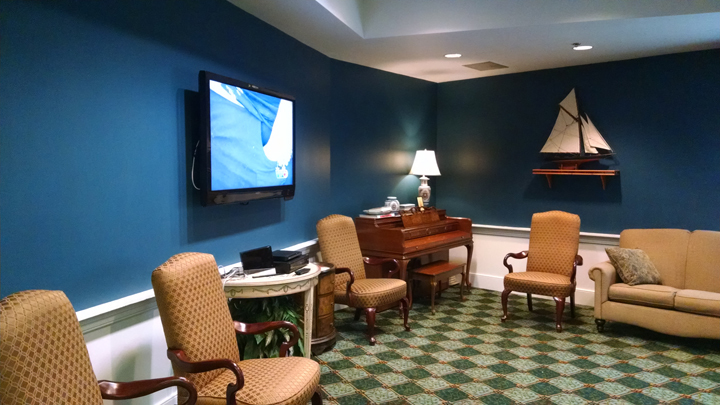 A quaint room for residents to gather together and watch a movie, a Patriots game, or the news. This room is also where our morning exercise programs take place, as well as Wii bowling, games, and discussion groups. 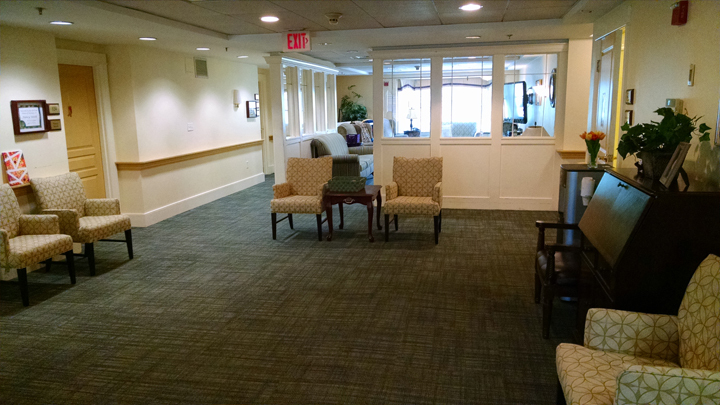 At the Bertram House of Swampscott, we provide special care for individuals with Alzheimer's and other forms of memory loss. Our Reminiscence Neighborhood offers a safe, secure, and nurturing environment where residents take part in meaningful activities. Within this calm setting, residents are afforded the opportunity to make choices, participate in decision-making, and enjoy the company, compassion, and support of family, neighbors, and our dedicated staff. Life skills are maximized, personal histories are celebrated, and laughter is abundant. 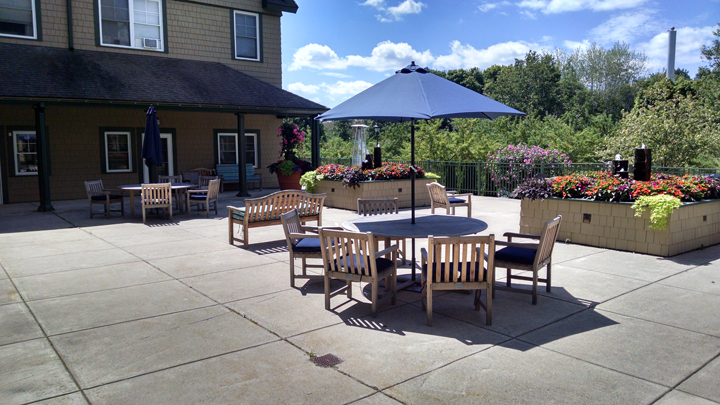 Our large outdoor patios offer a welcoming space for resident to enjoy the sunshine and a sea breeze. This intimate, sophisticated, regal style room is filled with classic books as well as new releases. 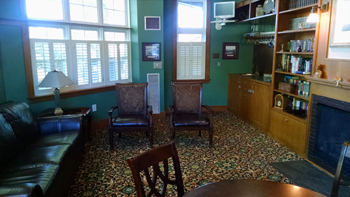 Residents can utilize this room as a quiet place to read while sitting by our cozy fireplace. Always bright and cherry, this room serves as a gathering place for residents to play Scrabble, bridge, cribbage or other games. 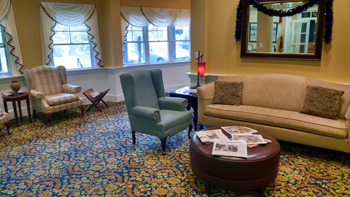 A warm and inviting space, you will often see residents reading their mail or simply lounging on our comfortable couches and chairs.